This page is intended as a quick resource for people planning trips to frequently used sites. 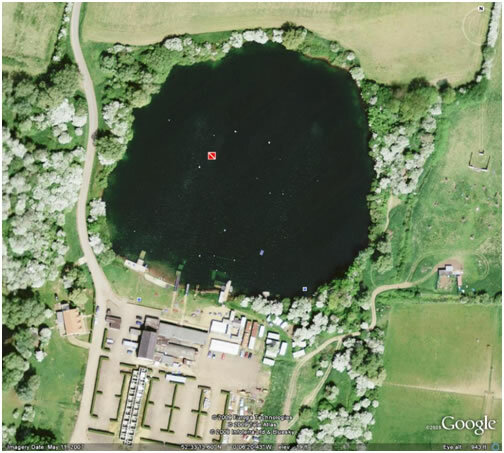 Gildenburgh Water is the nearest training site to Cambridge, and we do most of our training there, it’s 45 miles away and the journey will take about one hour. You can find directions here. Entry is free for beginners, £11 for members and £15 for qualified non-members. The site is open seven days a week, but on weekdays it is quiet and they may only offer limited facilities. If you are diving on a weekday it is best to check when you arrive when they will be serving food etc. Accommodation: Never stayed there overnight. Air fills: At the resident air filling station; does air, clean air, nitrox. Food: The dive centre does some fast food, such as chips, burgers, sausage rolls etc, hot and cold drinks, chocolate bars, but not sandwiches. 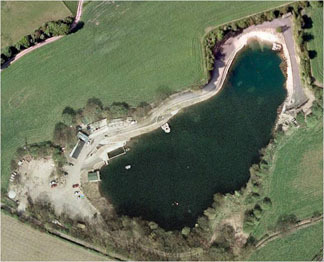 Stoney Cove is a very popular training site in Leicestershire. It is about 80 miles from Cambridge, the journey will take about 1.5 hours, you can find directions here. There is limited parking near the water, the rest of the parking is a long walk away. If you go at a weekend you will find people queuing from 4am to get in and get a good space. 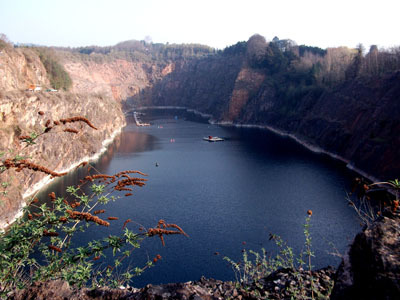 Diving: Stoney Cove UK National Diving Centre (http://www.stoneycove.co.uk/) is a flooded quarry decorated with many in-water features, such as a tug boat, helicopter, bus, small submarine etc. 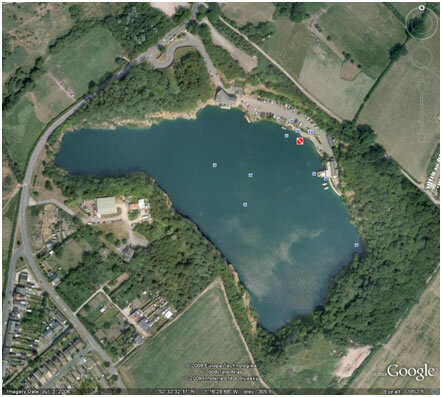 During BST, diving is between 7 am in the morning and 4 pm in the afternoon and the entry fee is now £17/diver/day. Resident dive shop: Underwater World (http://www.underwaterworld.co.uk/). Accommodation: B&B – Dive Inn (57 Hinckley Road, Stoney Stanton, Leicestershire LE9 4LL, 01455 273313), which is about 2 minutes car-drive from the cove. They have 3 twin rooms, one bunkroom sleeping 4, 2 singles and a caravan in the garden; £20/head/night – which includes a full English breakfast. Food: At the cove, there is Nemo’s dinner, which does some fast food. Organizing packed lunch is usually cheaper. Diving: The Farne Islands are a group of islands off the coast of Northumberland, England. 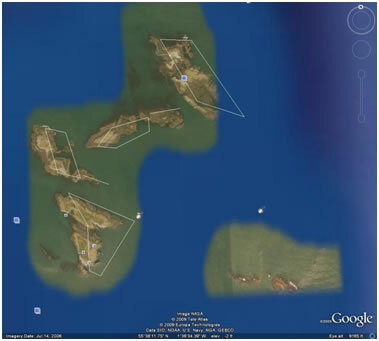 There are between 15 to 20 or more islands depending on the state of the tide, scattered about 2.5–7.5 km away from the mainland. The Farnes are renowned for their seals and their colonies of sea birds. Suitable for: SD, but shallow seal diving is suitable for ODs if you have enough DLs. Boat: Skipper William Shiel: http://www.farne-islands.com/diving/index.htm, large fleet of dive boats of variable sizes, usually with diver lift at the back. Distance: about 5h drive from Cambridge, pretty much straight up the A1. Boat leaves from the harbour in Seahouses. Accommodation: We have two bunkhouse accommodations, both very much near Seahouses. This is the Annstead Farm Bunkhouse (http://www.annstead.co.uk/accomm_bunkhouse.php) and the Joiners Shop Bunkhouse (http://www.bunkhousenorthumberland.co.uk/directions.htm). Both are around £10-12/person/night. The Joiners Shop Bunkhouse is somewhat nicer as you don’t have to walk around the building in the middle of the night to get to the toilets. Book early! Air fills: Sovereign (http://www.sovereigndiving.co.uk/). They also have a dive shop. They do actually provide dive boats as well and we have been with them once in the past. Food: Both bunkhouse accommodations come with a kitchen, so you can prepare breakfast yourselves. Usually we get monster take-aways for the evening. 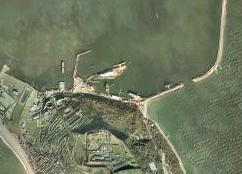 Portland Harbour is a popular base for diving. A number of charter boats run out of the harbour and there is shore diving from a Chesil Beach. Diving:Chesil Beach is suitable for ODs, but the beach is steep and it may be difficult to exit the water when the sea is rough. Charter boats visit a range of popular wrecks, suitable for all qualifications, but unless you can fill a boat, they will probably be diving sites suitable for SD or above. Boat: Several boats operating out of the harbour, Scimitar Diving’s website has online booking. Distance: about 4h drive from Cambridge, this part of Dorset is a very popular Bank Holiday location – traffic can be very bad. Accommodation:Youth Hostel in Portland, Aqua Hotel or Royal Breakwater at the harbour. Air fills: Scimitar Diving in the harbour next to the Aqua Hotel. Food:Cafe in the Aqua Hotel, any of the pubs in the harbour sell food, if you’re self catering it’s better to visit a supermarket on the way as there aren’t many shops in the harbour area. 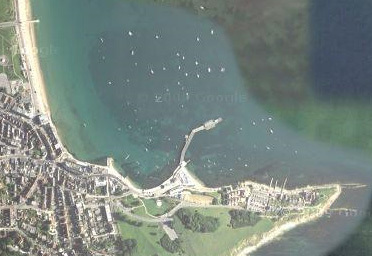 Swanage is a very popular dorset holiday resort. Accommodation:Lots of B&Bs in the town, there is a Youth Hostel (noisy), a Bunkhouse, and even Mongolian Yurts places tend to book up quickly if it’s a holiday weekend. Air fills: Divers Down on the pier. Food:Cafe on the pier, lots of options in town and on the seafront. Diving: St. Abbs has some of the best shore diving in the UK if the viz is good. It is notorious for getting blown out, so it is usually organized as a shore dive trip with tent camping. Like this, it can be cancelled easily without losing money on boats etc. Green circle = car park; not free, but fairly cheap. 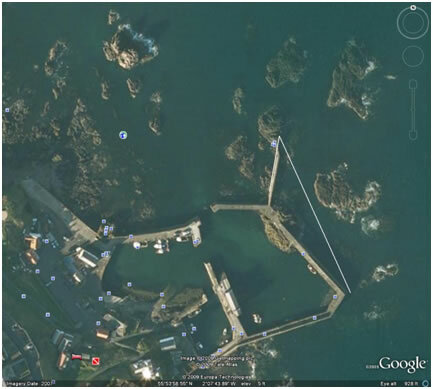 Red circle = dive entry near the car park; only really feasible at high tide. Yellow circle = dive entry on harbour wall. This one requires carrying your kit all along the harbour and the harbour wall; diving is spectacular there (especially cathedral rock). Do watch tide times as this can make entry and exit tricky. Accommodation: High View Caravan Park (I think); no website. Advantage: you can turn up in the middle of the night and pitch up your tents without getting bothered and you just pay within the next couple of days. Decent shower blocks. Air fills: at Scoutscroft Holiday Centre; we have a compressor key for that (usually held by the CUUEG Expeditions Officer); (http://www.scoutscroft.co.uk/diving.html). Food: There are some cafés and small shops in the harbour, but usually own lunch provision is cheapest. Diving: Diving is from a long pontoon on the water, minibuses run a shuttle service down to the pontoon from the car park, this system works surprisingly well. The staff are very friendly and helpful, there is permanent safety cover on the pontoon. In the water there are range of attractions and training platforms in 6-25m, maximum depth is more than 80m. Unfortunately the only area of shallow water is a small sloping area. When we visited (march 2011) this was very muddy and uneven, we were told that this area was still under construction. Website: http://www.ndac.co.uk/ Accommodation:“Wigwams” (more like sheds) on site, or you can get good deals at the Hampton by Hilton in Magor which is at junction 23a of the M48, about 20 minutes drive away. Air fills:Very good air fills, also a small shop and kit hire is available. Flutteing eyelashes might get you free hire of a drysuit. Food:Tescos in Chepstow (other supermarkets are available), normal diving food available on site (Bacon rolls, cheesy chips etc). Restaurant. 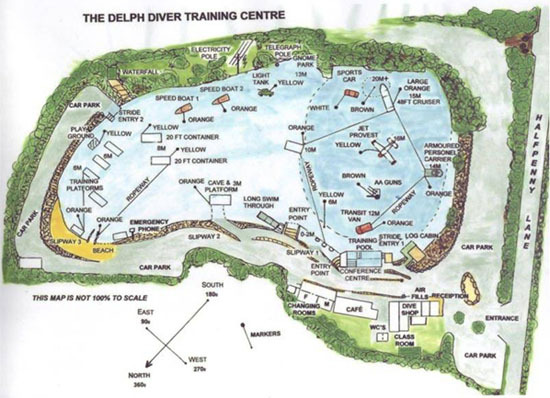 Similar to Stoney Cove and Capernwray, the Eccleston Delph (http://www.thedelph.com/) is a BSAC/PADI training centre in a flooded quarry. It has many in-water attraction, such as a jet plane, a luxury yacht, armoured vehicles, speed boats, some cave-y swim-through and a gnome garden to mention a few. The lake is also well stocked with trout, some of which are quite gigantic (you can buy a small bag of fish food for 50 pence and feed the fish underwater, which is fun). It has many slipways and a gently sloping ‘sand beach’, which are good for rescue training. There is a small dive shop, an air filling station and a nice café, which does nice hot food, lovely cakes and an absolutely huge, evil-delicious mug of hot chocolate. You have to become a member (£10, you get an ID card valid for 2yrs, + £10 entry).